Here's one fact that's bound to make the world sit up and take note: More than a quarter (26.53 per cent to be exact) of China's total installed electricity generation capacity now has clean-energy origin, including hydro and nuclear, according to China Electricity Council. That's a huge progress for a country whose search for alternative energy got into serious stride only a decade ago. In the US, no more than 15 per cent of all electricity produced domestically last year came from clean sources. 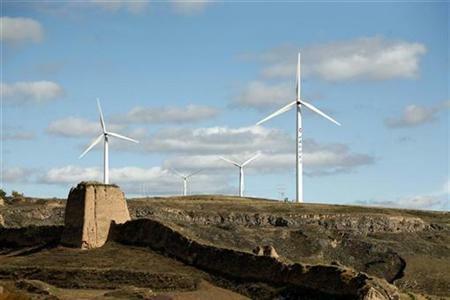 Here's another: China is now the global leader in wind energy, with 41.8 Gw of wind power capacity installed by the end of 2010, surpassing the US' 40.2 Gw. More than half this capacity is already grid-connected. 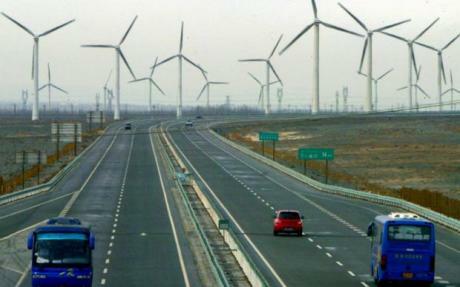 This shows how determined China is to win the global clean energy race and fulfill its environmental commitments. It's going to spend $755 billion on clean energy development over the next decade. Last year alone, it invested $34.6 billion, the largest chunk of the $243 billion invested globally. By comparison, the US spent $18.6 billion, the UK $11.2 billion, and the rest of the European Union $10.8 billion in 2010. China's total installed power capacity currently stands at 962 Gw, of which 10 Gw is nuclear, 213.4 Gw is hydro-based, and 41.8 Gw is wind-based. Solar capacity is still small but is building up. Construction is to begin soon on what's billed as the world's biggest solar power plant, a 2 Gw facility in Guangdong province. By 2020, China's nuclear capacity is expected to reach 86 Gw, hydroelectricity 320 Gw, wind energy 150 Gw, and solar energy at least 2.5 Gw. Of course, coal, oil and gas remain critical, and China is fully aware of the deep environmental implications of its conventional fuel dependence. As much as 1,000 Gw, of its projected power capacity of 1,600 Gw by 2020, will still have to be based on fossil fuels to meet its energy demand. That's why energy efficiency is as high in Beijing's mind as the push for alternative energy. China is said to have cut its coal use by nearly 2 billion tonnes over the past five years by replacing small, inefficient thermal power plants with bigger and technologically superior ones. The other country in Asia where "green" growth is the state religion is South Korea. 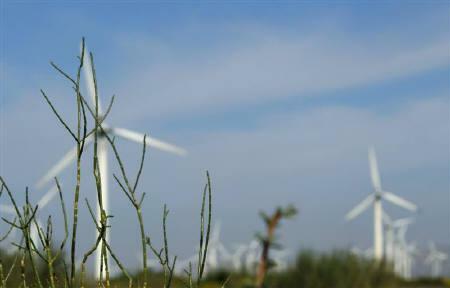 Bent on meeting at least 11 per cent of its energy needs from renewable sources by 2030, against 5 per cent this year, South Korea has used the bulk of its $38 billion economic stimulus package to promote "green" plans and will spend 2 per cent of its annual GDP over the next five years for the same purpose. It has set a target of 1 Gw of solar capacity by 2012 and recently unveiled plans for a massive, 2.5 Gw wind farm to come up over the next ten years in the West Sea off Jeolla Province. With an investment of $8.3 billion, the wind project, the biggest announced wind power project in the world, will be fully commissioned by 2019. As China and South Korea write the clean energy story for Asia, investing billions of dollars into new research and development as well as greener transportation and better manufacturing technologies, a different but equally significant story is unfolding for them - the prospect of their leadership of the global alternative energy market. It's already causing worries across Europe and the US. Last year, half the world's production of solar panels came from Chinese manufacturers, who now have 43 per cent of the global and 23 per cent of the US photovoltaic panel market. Five of the top 10 solar panel makers in the world are from China, and, indicative of things to come, the US' third largest solar panel manufacturer, Evergreen Solar, recently shut down its factory in Massachussetts and moved its entire operation to Wuhan in China. South Korean companies are late in the game but gearing up strongly. Encouraged by falling world prices of solar panels by two-thirds in the last three years and anticipated spurt in global demand (Standard & Poor's reckons global solar cell capacity will increase by a whopping 39 per cent to 23.2 Gw this year from 17.1 Gw in 2010), these companies are investing heavily in developing their new-energy businesses and even buying assets abroad. Samsung, for example, is to spend $20.6 billion on solar cell production and other growth projects over the next decade. Posco has teamed up with a California company to build a 300 Mw solar power plant in Boulder City, Nevada, able to service some 60,000 households. Placed against BP's recently published Energy Outlook 2030, the significance of these developments becomes immediately clear. According to BP, between now and 2030, renewables' contribution to energy growth will rise from 5 per cent to 18 per cent, and the demand for alternative energy will overtake the need for oil for the first time ever.